So I did a test ride. I was a bit apprehensive since I was about to test ride a completely new bike on a busy road of Delhi. But as soon as I started the bike and hear the engine road I felt an ecstasy. I throttled a bit and felt a sudden rush of air on my cheeks. I felt good. The throttle was very powerful and the bike snappy to my commands. I was happy that all went according to plan. I returned the bike back to the showroom. I knew this was a perfect bike for me. Talking over the price details, I found that they were not really ready to give any sort of discounts. So I went to another showroom of Suzuki. We talked about the price and discounts. The guy at the showroom agreed to provide a discount of Rs 5k if I buy from PayTM and also to equip the bike with a passenger foot rest. There, we had a deal. I was finally ready to purchase the bike. It was a very powerful moment for me. I was happy but I was a bit unsure on what to do. In a panicked but subtle voice I moved towards my friend and asked, “dude… Do I really buy this? Like, really?” He saw me with an expression of, “Seriously? Are you still ‘thinking’ about it?”. He knew that I knew what to do. It was just a matter of pulling the trigger. So I did. I finally pulled the trigger. After some paperwork the bike was mine. I went upstairs to select my bike and I choose the burning Red color. She was waiting for me, wanting to wrap my hands around her, start the ignition, drop down the gear and take her away from the showroom. That was it. That was the event that transpired on that day of September 2017. The stunning curves and color! But how did I reach here? Time for a flashback. Up until last year, I never felt the need of a bike. Living in a metropolitan city I had access to all sorts of transport medium. For short distances, walking was the de facto option. To goto another part of the city, buses was the default and the price made it the only option until I started to earn my own dough. Then came metro and it was also the proudest way to travel living in this city. Finally when I started to work there came a tsunami of Uber and Ola offers. I had no real reason to own a private vehicle. There were occasions though where I did acknowledge a requirement of a bike but those were few and far in between. Until recently when my workplace decided to allow us an option to leave company cab and use private transport, that is. That was it. That was the chance. I could make myself free from the shackles of cabs and take this opportunity to own a bike of my own. I needed a reason and I got one. But was it that only bikes crossed my mind and why not a car? That is indeed a curious question, the answer of which lies in my teenage years. 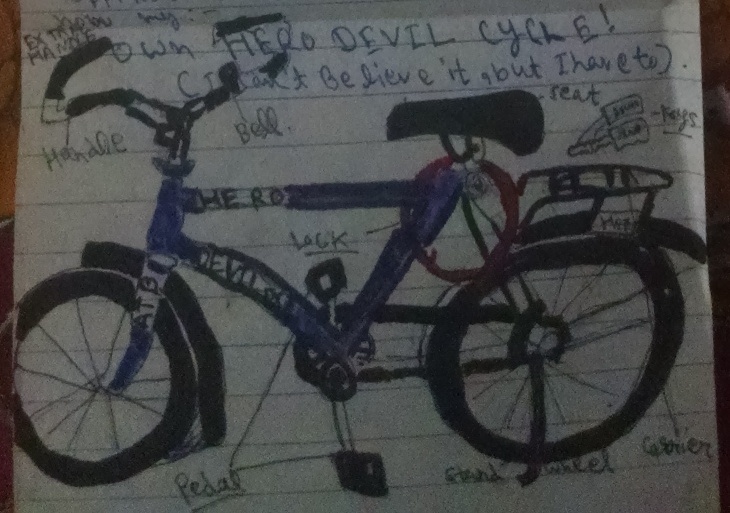 Long long time ago, I use to own a Hero Devil bike, erm, a bicycle. So technically I had experience with bikes. The non engine kind. It was my favorite “gadget” back in the day. It was a proud way to ride to my school. Students use to be jealous of me. Or at-least it did look to me. It was a gorgeous blue colour and I use to love it. I had my fair share of accidents on that bike but I always got back on my feet and walk away like nothing happened. My Hero Devil was the way I use to chase winds and maintain my health while I was at it. Back then I didn’t have a camera. So I drew this myself back in the day. But the feeling didn’t last too long. One bad day when I went to study tuition at first floor someone stole my bike by brute forcing the number lock that I used to lock it. The lock only had a 3 digits so the encryption wasn’t that hard to crack. The thief left the lock for me as a souvenir, like that would make me feel any better. There are a few days of my childhood that I remember more vividly then a 4k display. And the day I had to tell my dad how my bike was stolen was one of them. He didn’t seem to give me any emotion at that moment but I knew he was sad too, cause he didn’t say anything. I was back on foot. So when I was in the showroom, all that repressed feeling overshadowed me and I couldn’t resist pushing the button to finalize the deal. It was one of the most ecstatic moment of my life. I was the proud owner of a bike. After a very long time at that. It was the time to chase the winds again! But ultimately Gixxer stole my heart due to her curves and features. This is the thread where I discussed with fellow members and this is the thread where I documented my final experience of riding the bike after 2 weeks. 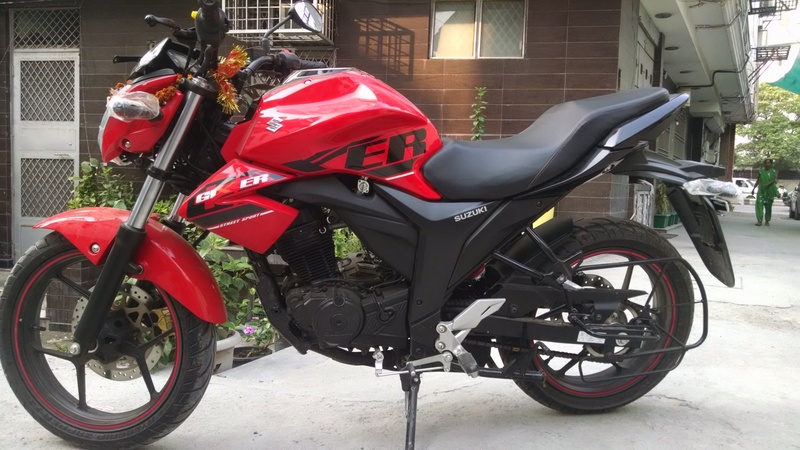 Street bike with less height than most other 100 or 125cc bikes like Discover. Sporty look to die for! It has a personality! As of writing this article, I have completed around 10 months riding this bike. Since April, I have been riding it daily as part of the commute to my workplace. It’s been nothing short of amazing taking this bike for a spin everyday. No longer was I bound to the shackles of riding it only on weekends, as I was previously doing. I have also bought a camera setup that can be attached to my helmet. I record my journey. It helps me to analyze later my own riding style, and also to share incidents that I find interesting. While I was proud not to have dropped my bike in the first 8 months, in the last 2 months I have managed to do that 3 times. The first time was a bit of a serious accident when a car came rushing to merge with oncoming traffic from right side (from under a newly built tunnel under a highway). I was in quite a speed and wasn’t expecting the car. I hit the car (almost T-boned). The right side of the bike took heavy damage as the rear brake was completely broken. But I got away quite unscathed, thanks to my gloves and helmet. The next time the bike skid as I used the front brakes a bit too hard while trying to avoid a car which appeared from left side turn unexpectedly. It was then when I felt the need to keep a record of the rides that I took in order to prove that it was mostly the car being the reason for my accidents. But I also knew my fault for I was not riding ‘defensively’ which is important for every rider. The next time I made my bike fall, it was just the wet roads, and I skid as I tried to stop the bike using front brake, as the scooter ahead of me braked hard when there was not even a red light. Thankfully I had this documented. Following clip shows what happened. I hope riders take notes from it on how to ride defensively and how not to use brakes! 01-Apr-2018: Started to commute to workplace. So started to ride it daily. 07-Apr-2018: My first big accident, rear brake gone. Cost Rs 1100 to fix the damages. 25-May-2018: Skid while avoiding a car. Minor damages. 27-May-2018: I got the leg guard installed. 02-Jun-2018: Started to record my journeys using an action camera mounted on helmet. 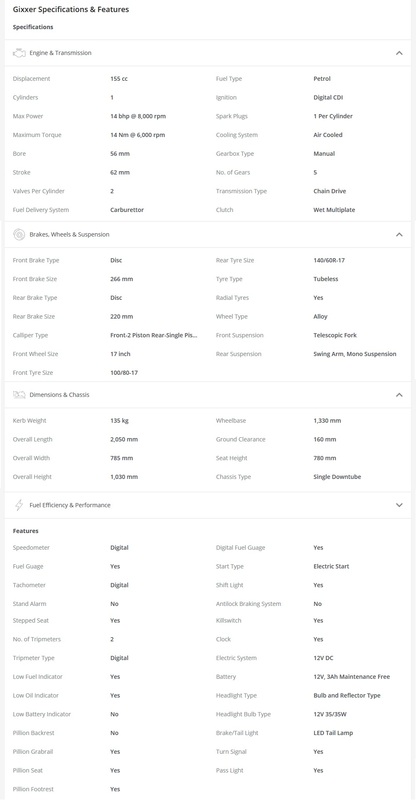 Camera bought from Chopra Automobiles, Karol bagh. 11-Jun-2018: Skid while panic braking. Combined the last time, cost me Rs 1100 again to fix all damages. I will continue this timeline to update events related to my bike. To any riders around reading this blog, ride safe and chase the winds! To end this article I would like to leave this video here of one of MotoVLoggers that I have come to appreciate, on why we ride bikes?